David Grigsby spent his childhood in Southern California during the fabled "Golden Age" of the 50's and 60's, when land was cheap, jobs were plentiful, and the Beach Boys extolled the virtues of sun and sand. An early interest and aptitude in drawing led him to study Art at California State University, Long Beach, where he received a Bachelor of Arts Degree in Drawing and Painting. Following a 30 year career in product design and marketing, the artist is currently devoting full time to his lifelong interest in fine art.  An active member of the Pasadena Society of Artists, he is a regular contributor to their group events and juried exhibitions. Grigsby has also been featured in a number of group and solo exhibitions in the L.A. and Orange County area, including the Pasadena Playhouse District's ARTWalk, where he was awarded First Place in their 2007 painting competition. His works are owned by a number of corporate and private collectors. My art is a personal reaction to and interpretation of the people, places and events that impact my life. My paintings are an expression of my personal feelings about a subject or subjects through the medium I feel most comfortable with - paint and canvas. It is my hope that the viewer will both enjoy the surface, or visual aspect of the works, and may also derive his own personal interpretation and meaning from them. A recent focus of my artwork has been exploring my own childhood and adolescence in a series of paintings based on family snapshots from the 50's and 60's. The paintings are done in a square format, recalling the old "Instamatic" point and shoot cameras which were popular in that era. In showing the paintings, I find it gratifying (and somewhat surprising) how strongly people my age identify with them, and relate the images to their own childhood experiences.